To determine the pressure, you can use automatic or mechanical tonometer. To obtain reliable results, you should not only learn how to use a tonometer, but also to properly prepare for the measuring procedure. Automatic tonometer to use simply. It is much harder to measure the pressure by a mechanical tonometer. Before measuring the pressure, do not smoke for 1-2 hours, do not be nervous, do not drink caffeinated and alcoholic beverages. Sit in a comfortable position at the table, place your feet exactly. Put your hand on the table at heart level. Put the cuff above the elbow of 2.5 cm. Secure it to the arm with Velcro. Select sphygmomanometer with cuff size appropriate for your hand size. The average size is width 13 cm and length 35 cm. If you have a large or low weight, then buy a larger or smaller number of values. If you use the wrong size, then the pressure reading will be incorrect. Next, rotate the wheel located under the pointer device to the maximum stop. Install a stethoscope on pulse point, feel it with your finger right or left hand, it depends on which hand you perform a measurement. Usually the pressure is measured on the left arm, but to check the results, you can use the right hand. Inflate a bag of air readings 200. Very gently loosen the wheel. The arrow slowly begins to move. At the first sound of the pulse you will see readings systolic blood pressure. It means the force of ejection of blood from the heart. The last sound will record on the device diastolic pressure, meaning the vascular tone, which made the blood output of the heart muscle. Heart rate count at the second hand for 30 seconds and multiply the result by two. If you've been counting for 1 minute, then multiply the result not necessary. The first measurement will seem quite difficult, but with time you will learn how to measure blood pressure and do it automatically. For older people it is better to buy automatic blood pressure monitor, so as to independently measure the pressure with it much easier. Patients hypertension can not do without the tonometer – instrument for measuring blood pressure. What is the blood pressure cuff best buy to be sure in his testimony, because the diversity of medical devices is not so easy to understand, and to choose a good blood pressure monitor for accurate pressure measurement difficult task. 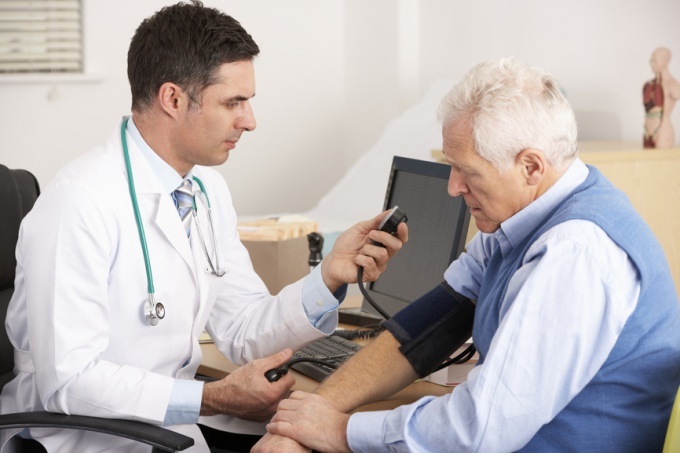 Science does not stand still, you can find a variety of models to measure blood pressure, like mercury, mechanical and automatic, not requiring patient's active participation in the dimension. Modern Priory allow you to accurately measure pressure. The classic blood pressure monitors that allow you to measure pressure accurately. They are perfect for blood pressure control when required high measurement accuracy, but in everyday life to use them is problematic. Basically, these devices can be found in the office of a cardiologist. the strength of the fastenings of the tubes of the stethoscope and the cylinder to discharge pressure. Longer copper-beryllium membrane in the measuring mechanism. Such blood pressure monitors are much more expensive, but last much, much longer without distorting the testimony of the measurements, allowing to measure the pressure accurately. Cheap models do not guarantee the accuracy of the readings and fail much faster. Remember that a good monitor can't be cheap. These blood pressure monitors – is the most convenient for self-measurement of pressure, they automatiseret process, allowing also to save the measurement results. The disadvantages include lack of accuracy and certain rules that must be followed by the patient during the measurement. 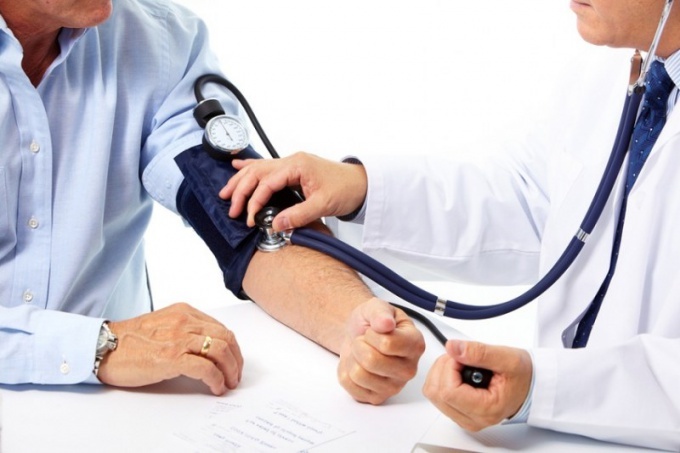 Choosing automatic blood pressure monitor, it is better to choose the machine with shoulder cuff, they are more accurate than devices that measure pressure at the wrist, and those devices which measure the pressure on the finger, generally can not guarantee the correct result, so it is better not to buy. There are models, which measures the rhythm and quality of pulse, when buying ask the pharmacist these parameters. If the patient has poor eyesight, it is better to buy a blood pressure monitor with large LCD screen where are displayed all the measured values. Mechanical tonometer is the most accurate. Therefore, doctors prefer to use it. To measure the pressure of the tonometer is quite simple. The main thing - to follow certain rules and measurements will be accurate. Mechanical sphygmomanometer consists of a cuff (occlusion of the brachial artery), pear (for pumping air into the cuff), a manometer that measures the pressure in the cuff, and two rubber tubes. More to the sphygmomanometer attached stethoscope to hear the pulse. Blood pressure is generally measured in the brachial artery (on the shoulder). The pulse is auscultated in the projection of the radial artery. It passes the elbow (closer to the inner side of the cubital fossa). That's where you need to put the diaphragm of the stethoscope. Blood pressure is measured in a calm state. Before the procedure one should not perform physical work, stress and Smoking. Before measurement, it is necessary comfortable to sit or lay the patient. The hand, which is to be measured, the pressure must be at heart level (if the person is sitting) and to be bent at the elbow. Make sure that the cuff is no air. To do this, open the air valve on the bag and squeeze the cuff with your hands. Wear it on the shoulder (2-3 cm above elbow joint) and lock. The cuff should not be worn very tightly, so that between her hand and placed one finger. The tube should be placed in the cubital fossa. Hang the manometer on the cuff, below the scale is clearly visible. Put on the stethoscope. Place the membrane in the cubital fossa 1 inch closer to the inner side. Once you are able to hear the pulse, then the membrane is located right. Close the air valve pear. And start to pump. You need to pump until, until no longer pulse. Then open the air valve and start to slowly release the air. Carefully follow the indications of the manometer. As soon as you hear the pulse, check the value of testimony and memorize it. This value is the systolic (top) pressure. Continue to pull the air. As soon as the pulse disappears again, remember this value. It will correspond to the diastolic (lower) pressure. It is desirable to measure blood pressure in both arms three times with an interval of 5 minutes. Pressure on the right and left hand may be slightly different, but not more than 5 mm of mercury.St. 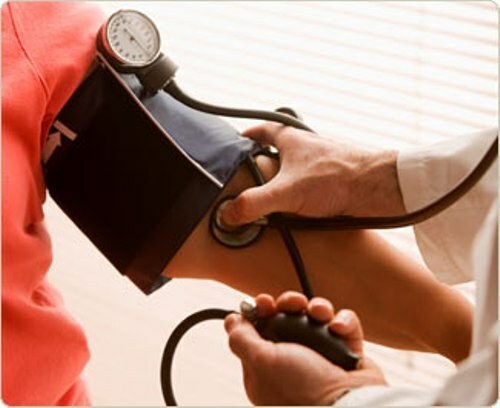 If the first attempt you have not heard the border systolic or diastolic blood pressure, not just to pump up the cuff, the data will be incorrect. Release all the air and repeat the measurement after 5 minutes.